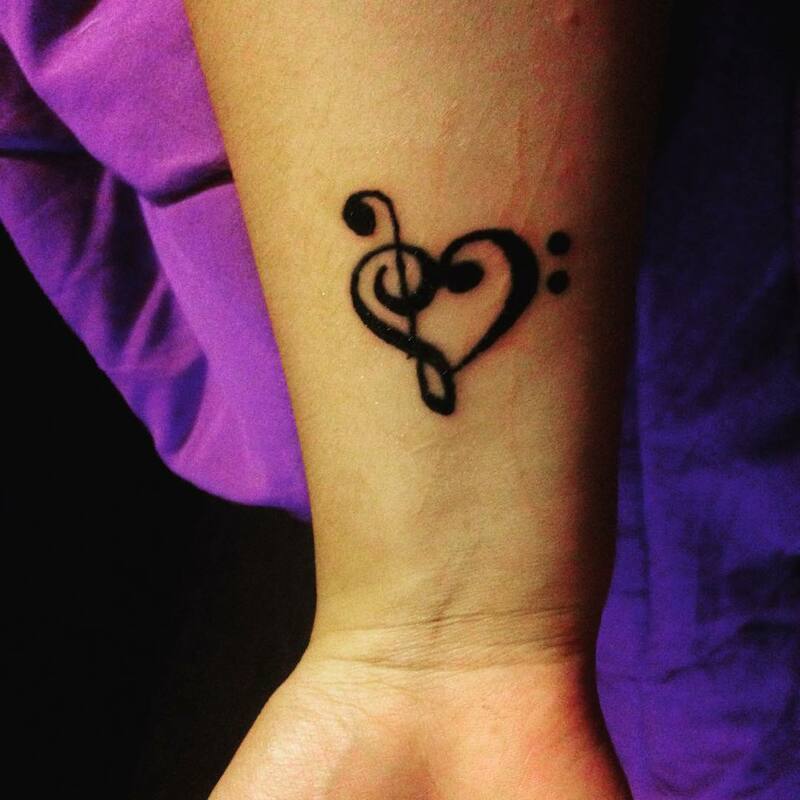 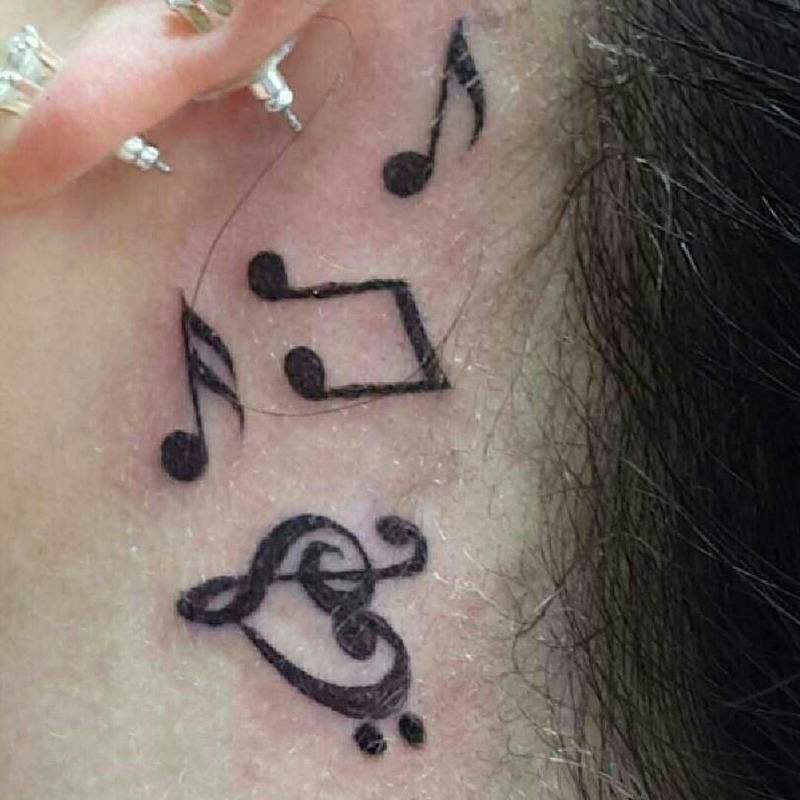 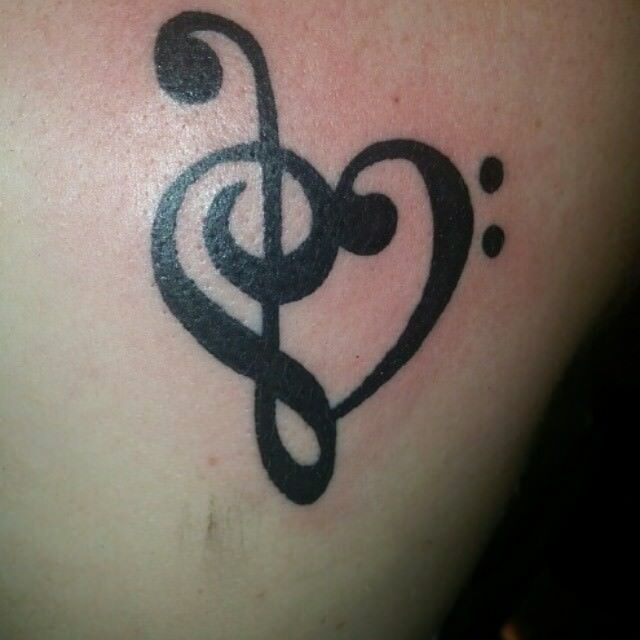 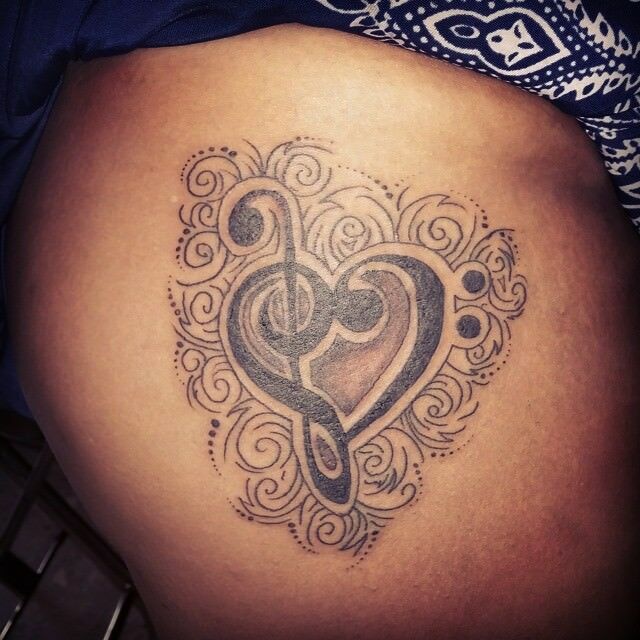 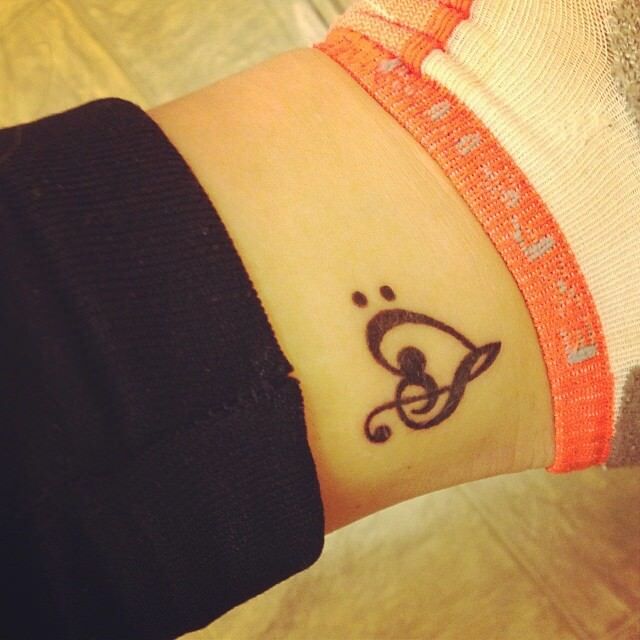 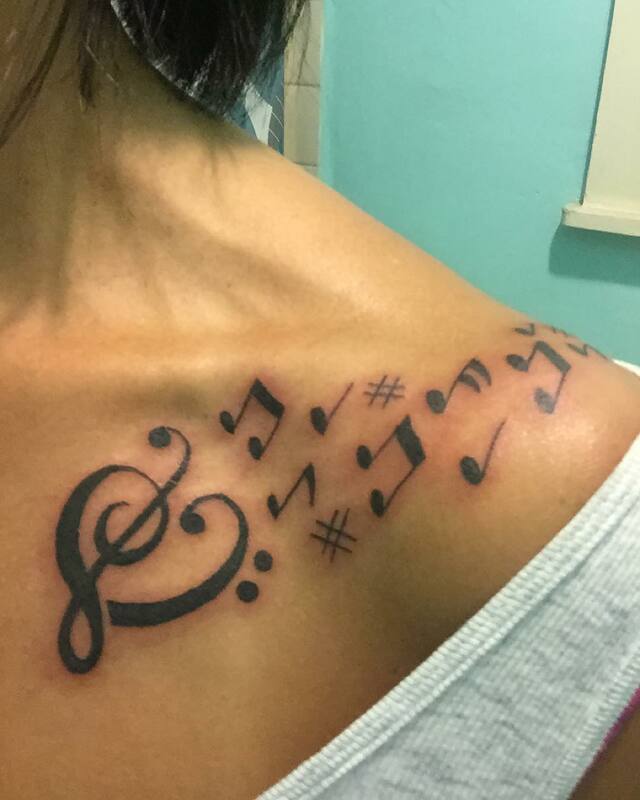 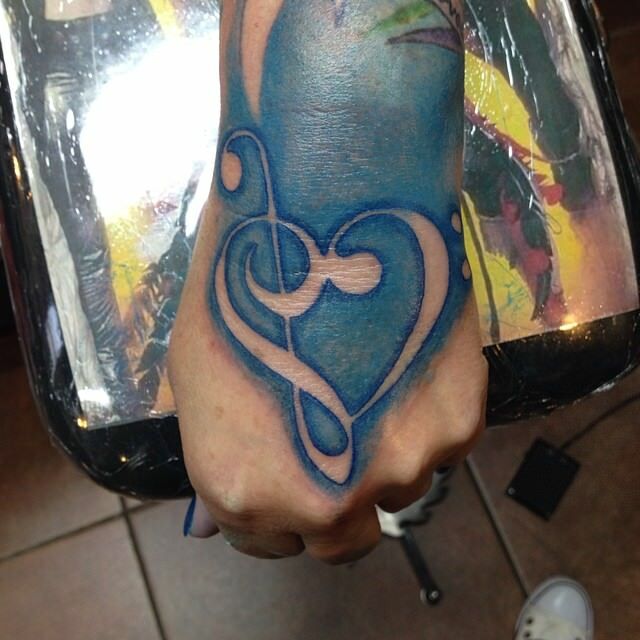 For all the music lovers, nothing beats a music heart tattoo. 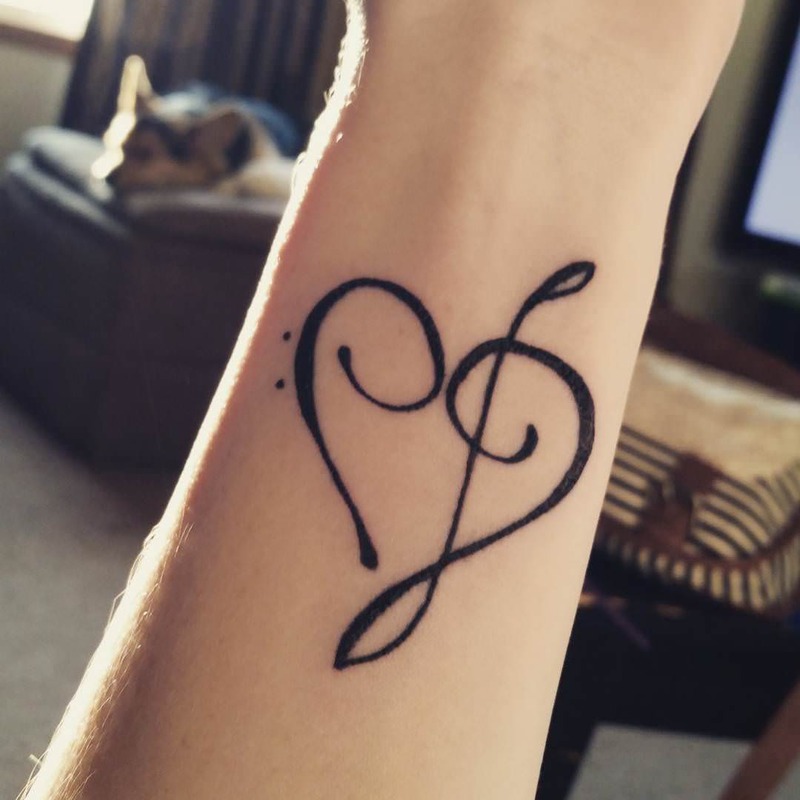 As musicians and artists consider music as their passion and life, no design works better than the marriage of music and heart. 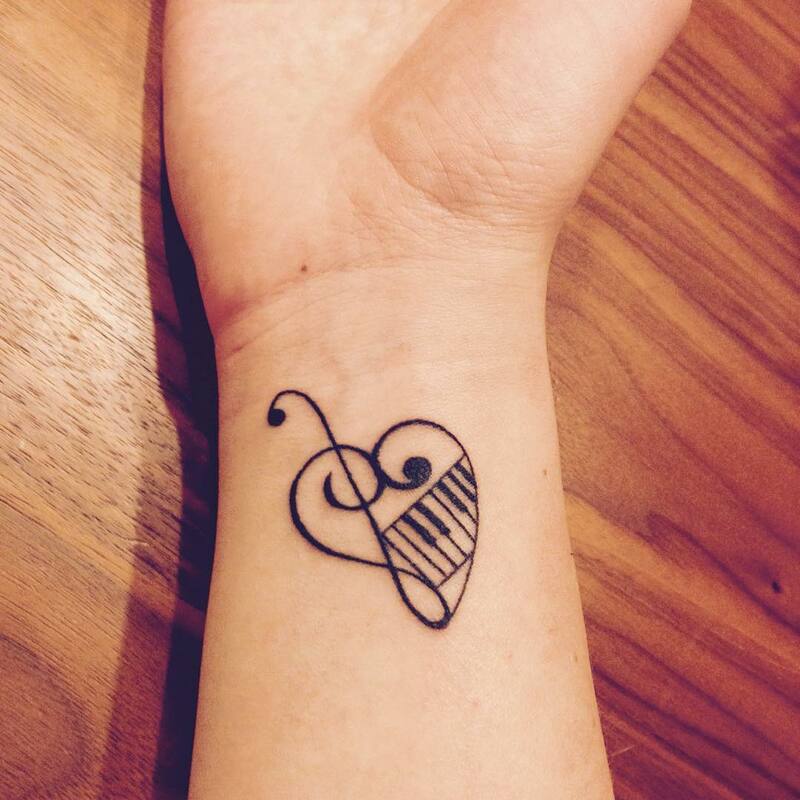 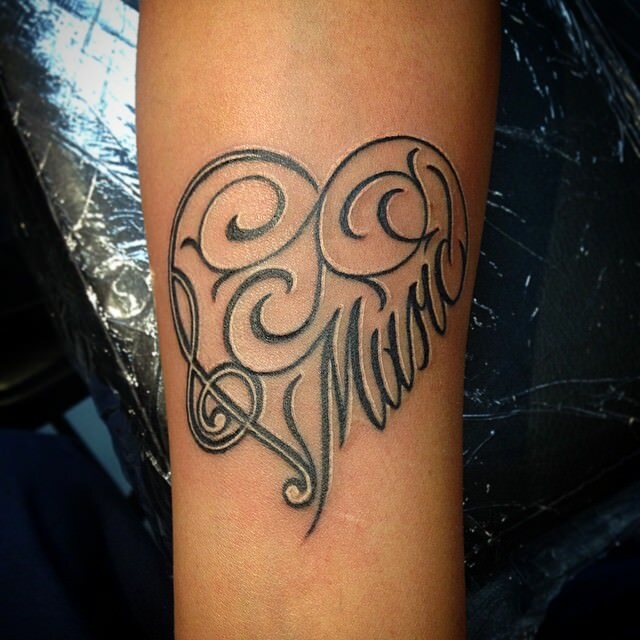 The simplicity of this tattoo design coupled with unusual placement has a really charming effect. 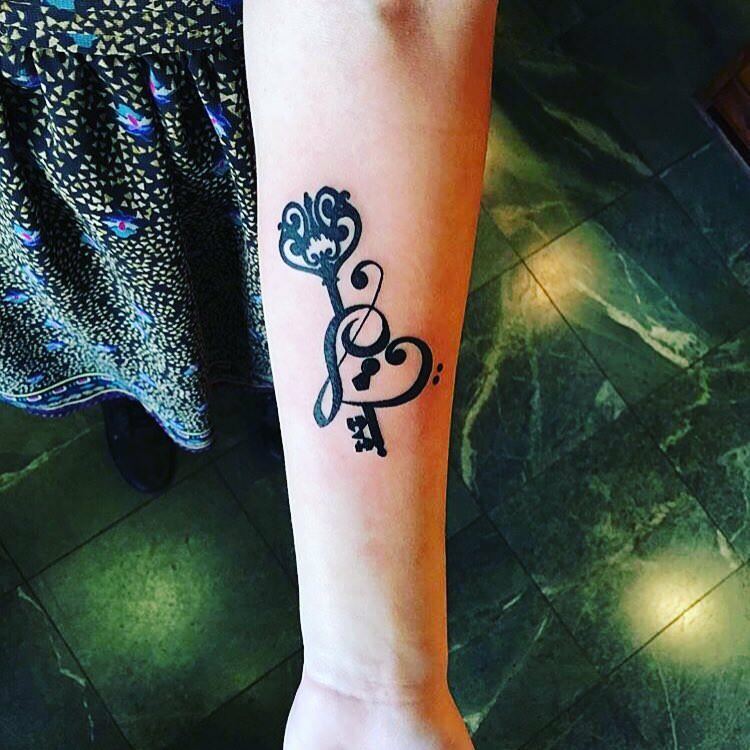 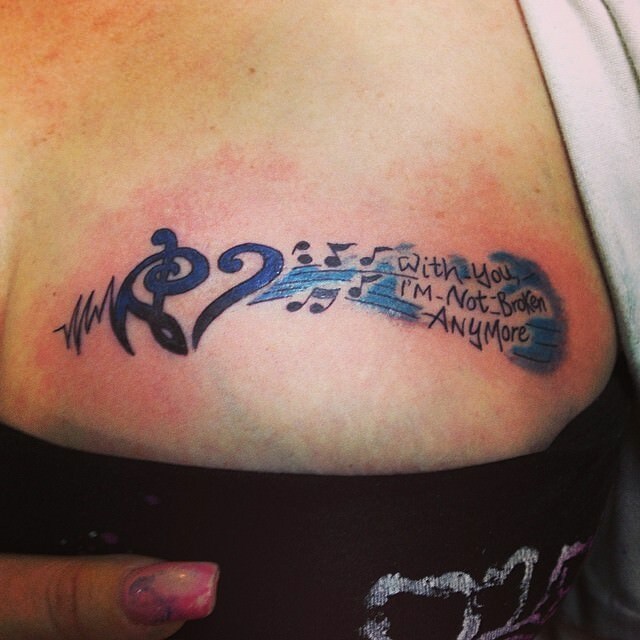 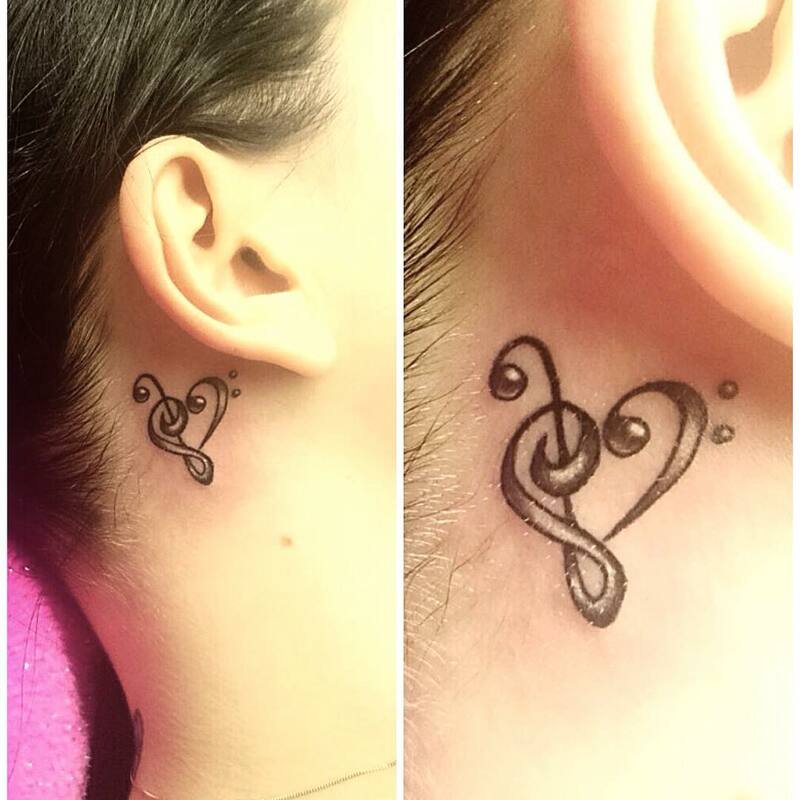 The best way to get a great music heart tattoo is to look for a unique design and personalize it in some way. 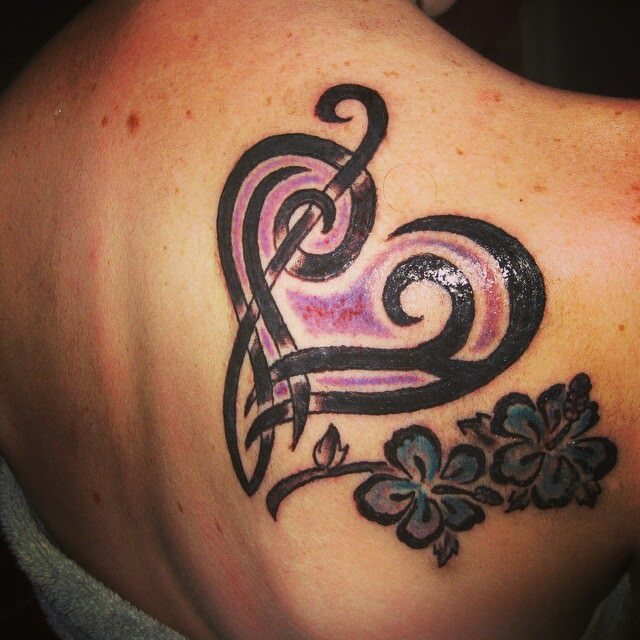 Add new design elements to enhance the visual appeal of the design. 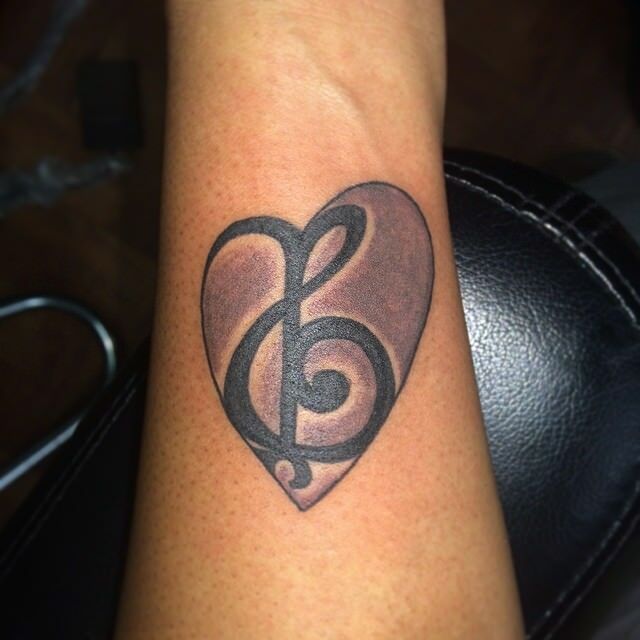 You can use music notes in the shape of a heart or go for a ribbon with a music quote across a heart shape. 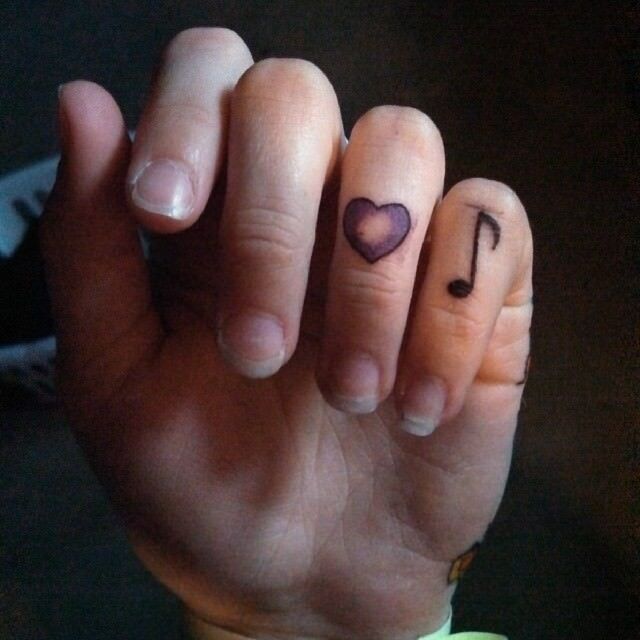 There are a lot of cute, colourful little music heart tattoos that are totally adorable. 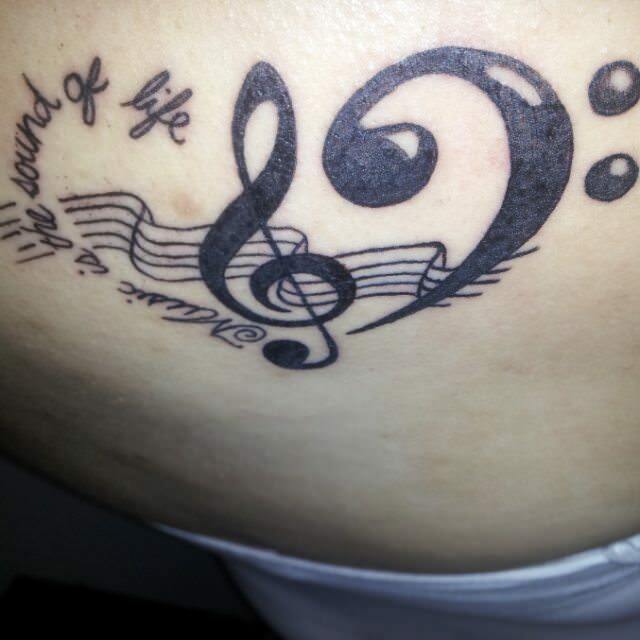 Favourite music quote, popular instruments, music symbol etc. 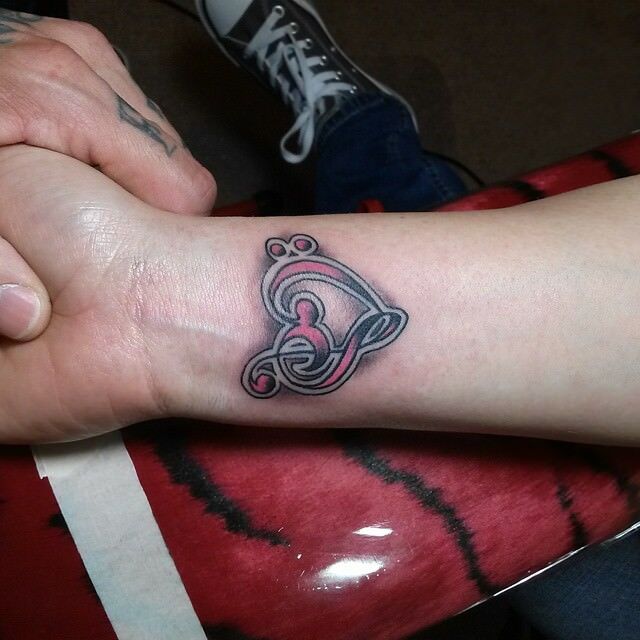 are teamed up with the heart symbol for best effects. 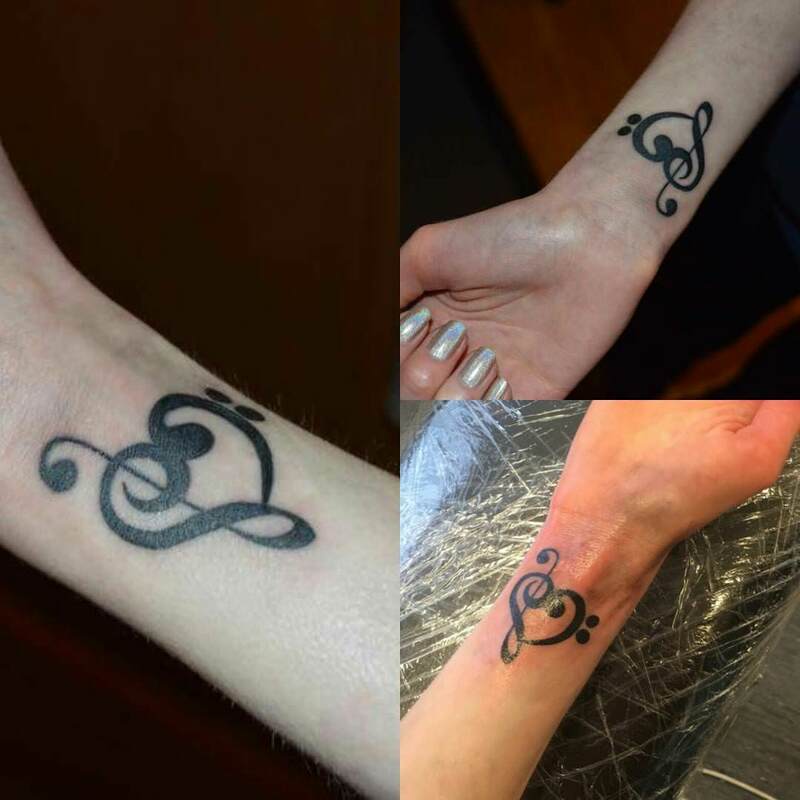 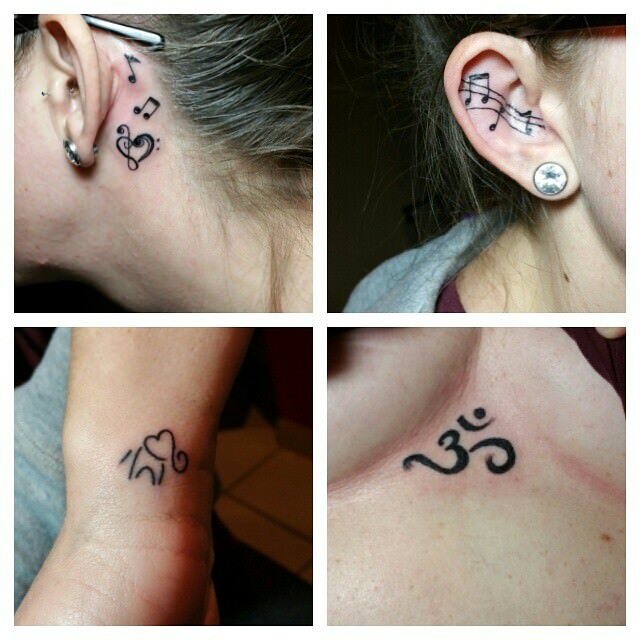 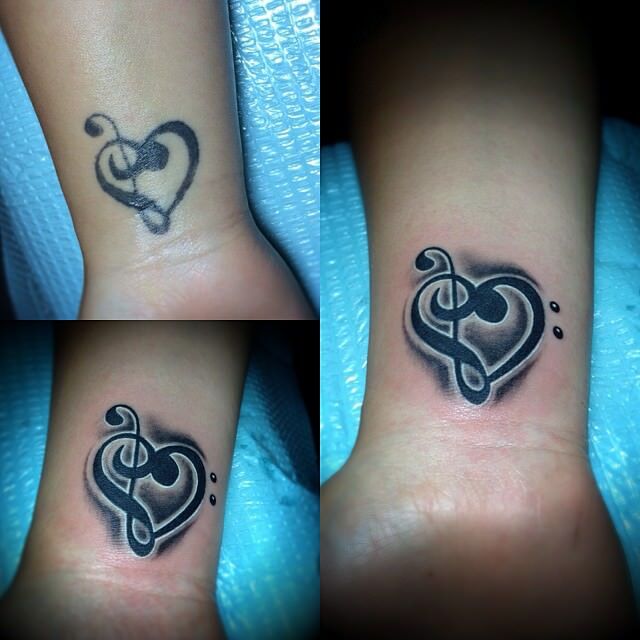 These tattoos are not intricate or complicated but look great and convey the feeling of love for music well. 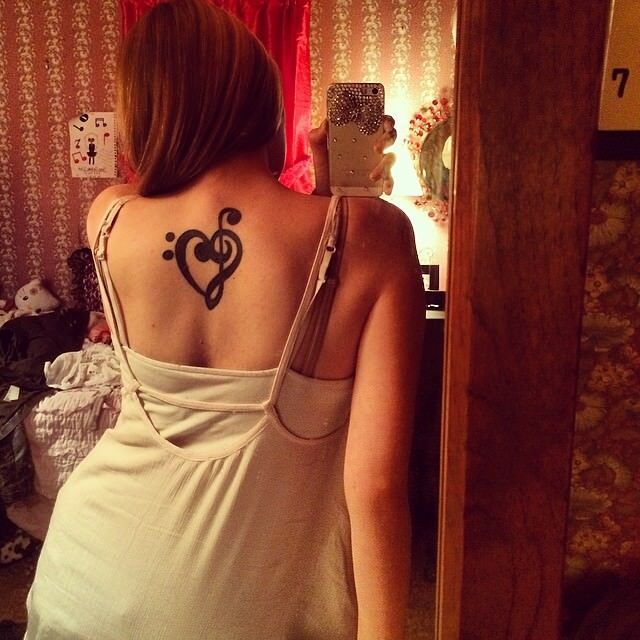 The music note is a symbol of elegance and grace and when combined with the silhouette of heart looks best. 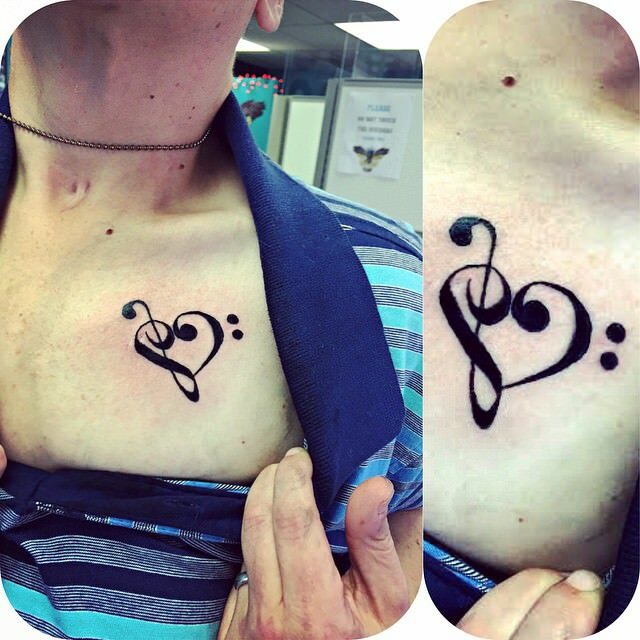 You can also experiment with music heart tattoo by intertwining both the symbols. 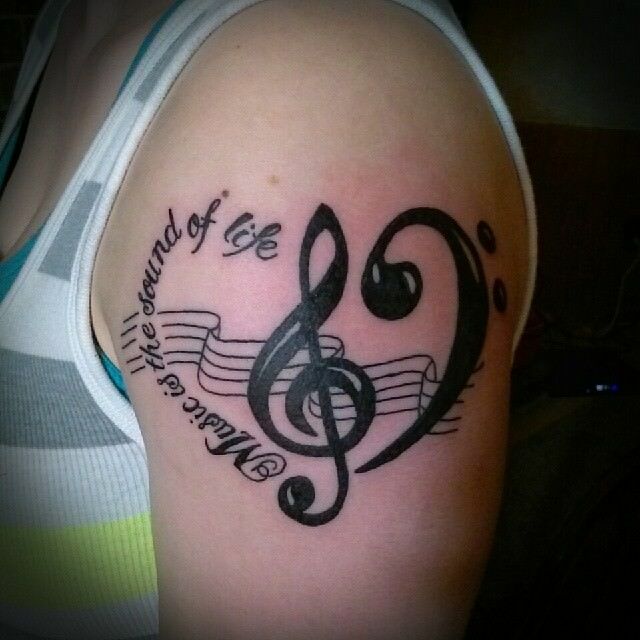 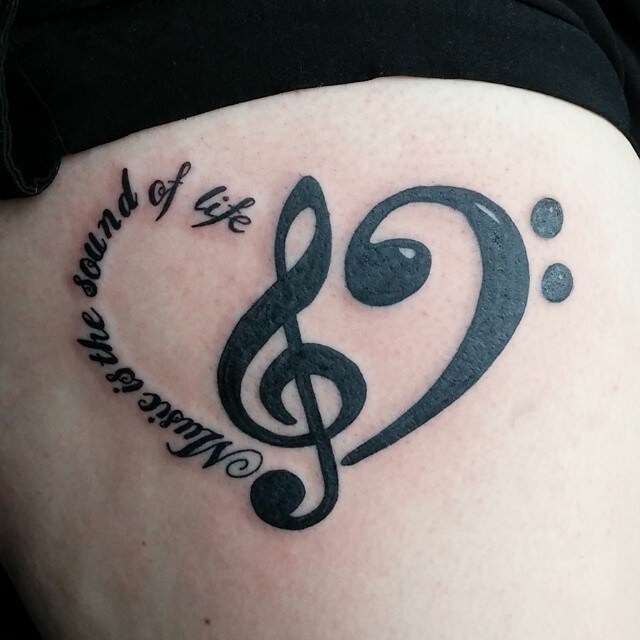 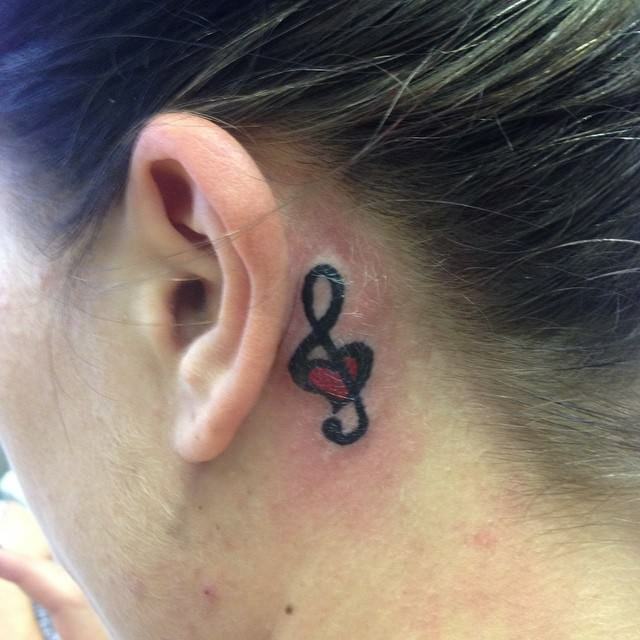 This is a great way to express your love for music and make it everlasting.